Words and pictures by Chris Pickering. What would you say is the most evocative race in Motorsport? The Indy 500? The <?xml:namespace prefix = st1 ns = "urn:schemas-microsoft-com:office:smarttags" />Monaco grand prix perhaps? For many, one race stands above all others in motorsport; a festival of speed and endurance that has run for more than 80 years. It is of course Le 24 Heures du Mans and of the many cars to have competed there, few are as dramatic and exciting as the prototype racers of the late 60s. 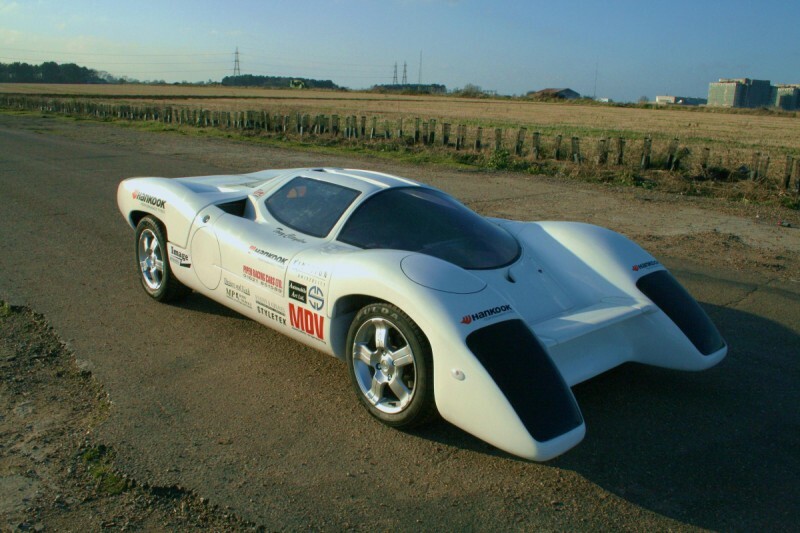 Amongst the GT40s and Porsche 917s competing in 1969 sat a car called the Piper GTR. 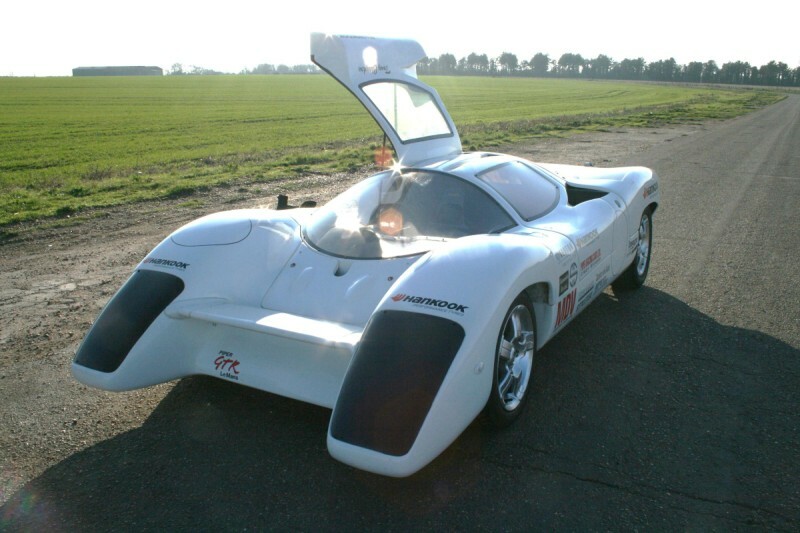 Now a small firm in Essex is producing hand built replicas of this little known sports racer. 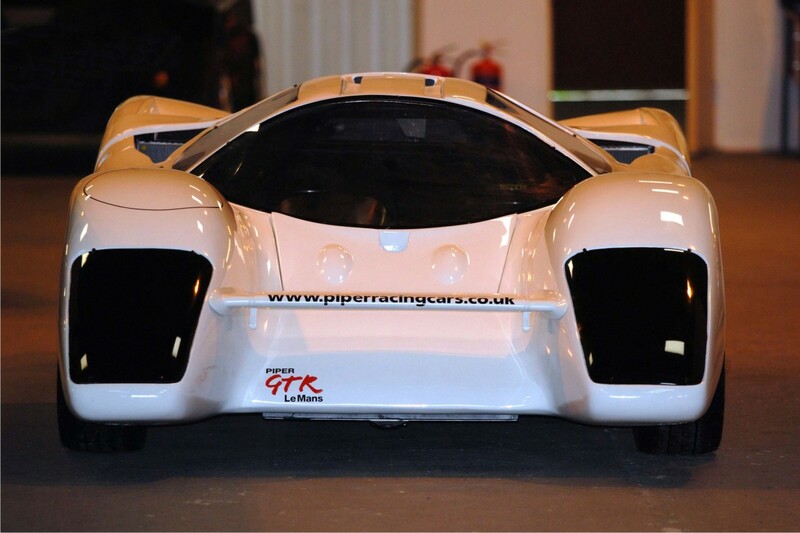 These days known as the Piper Racing GTR, the replica's fibreglass body uses moulds from an original car, whilst a conventional tubular steel spaceframe takes the place of the old composite monocoque. The suspension uses double wishbones all round combined with coil over adjustable damper units. Meanwhile, the 1300cc Lotus twin cam that powered the 1969 car has been replaced in favour of a modern Ford Sigma engine and gearbox that sits transversely mounted behind the cockpit. Slight changes to the radiator ducts allow for better cooling than before, which combined the low-stressed production engine should make for a very reliable track day tool, requiring little specialist knowledge to run. The svelte GTR stands just thirty-four inches tall; half a foot shorter than the GT40s, which the original was designed to share the track with. Access to the cockpit requires a degree of dexterity, but no more so than most sports racing cars thanks to a highly effective set of gull wing doors and a detachable steering wheel. Lowering yourself into the spartan interior it becomes obvious this machine is solely intended for the track. You sit heavily reclined, but still the space is limited and taller drivers may encounter problems with headroom if wearing a helmet. A cross member in front of you bears the fuel pump and starter motor switches, whilst several feet away at the base of the windscreen a plain black instrument pod carries just three dials displaying the engine speed, temperature and fuel level. The gear lever falls easily to hand on your right and behind it lies the cut off switch and handbrake. Engage its starter and the engine – standard barring a custom exhaust and intake system – barks into life before settling to a steady idle. On a quick trip round the perimeter roads of Bradwell-on-Sea airfield, the performance seemed very respectable with strong acceleration and flat cornering. The engine sits only inches behind your head and with very little to separate you it sounds every bit the Le Mans racer. The setup is surprisingly compliant for a track car, but you can still feel every bump and change of surface through the narrow fitting kart seat and four point harness. Looking in front, the view is dominated by the wings - they sit nearly at your eye level, which itself is only a couple of feet off the ground; barely higher than the wheel centres are on some cars. At such a minimal altitude the impression of speed is tremendous and with the narrow horizon flying towards you the side-windows can come in useful for picking an apex. The whole experience is perhaps the closest it is possible to get to the Mulsanne Straight at a disused airfield in Essex. Purposeful and effective; the Piper does not disappoint. 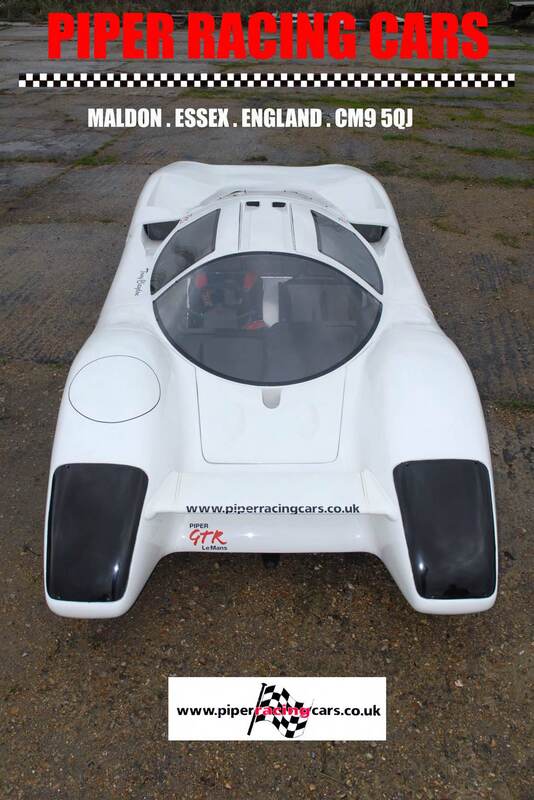 For those interested in a slice of retro performance, Piper Racing Cars are offering the GTR as tested at £28,000, but a rolling chassis can also be supplied on request for customers to fit their own engine and gearbox. There are currently no plans to release a road going version as such, but the company is considering the possibility of selling an SVA pack containing things such as lighting equipment and mirrors if demand is high enough. 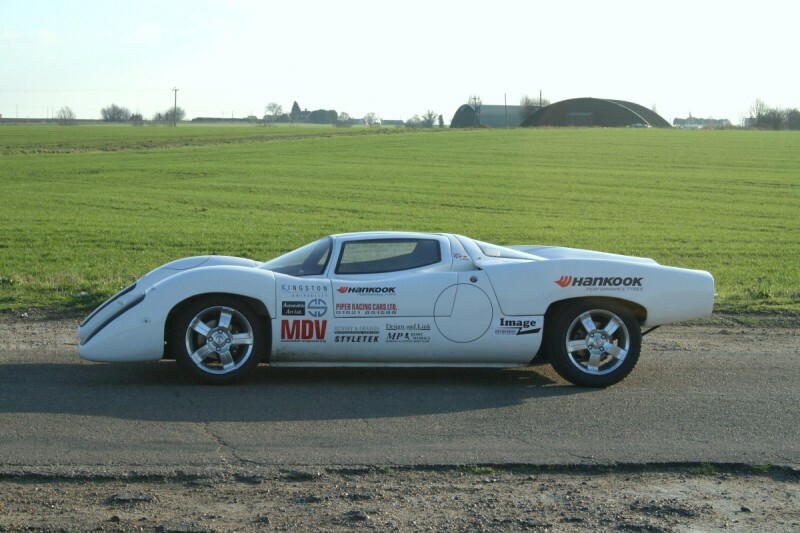 They are also keen to see the car used in competition and a full range of engineering facilities are available for those interested in developing the car for race use, with aerodynamic modifications and longitudinal engine installations both possible. The original car never made it onto the grid at La Sarthe, leaving Jacky Ickx and Jackie Oliver to take the chequered flag in their GT40. They finished just two seconds ahead of the Porsche 908 of Hans Herrmann and Gérard Larrousse in the closest finish in Le Mans history. The new GTR may not be destined for Le Mans, but you can expect to see it at track days and race events across the UK soon.